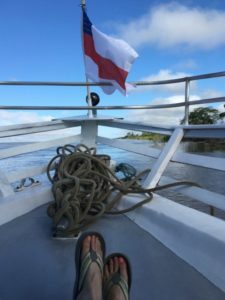 After the 13 hour fast boat adventure I spoke about in yesterday’s post we arrived in Tabatinga. We knew it was going to be a tight schedule to get to our plane but had no idea it would be this close. Our luggage was practically thrown from the boat onto the dock as we ran up the hill to catch the taxis that were waiting. 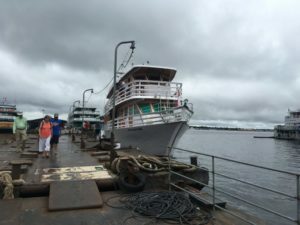 Due to all the difficulties and unplanned delays, we had to finish the last 240ish miles on the Amazon by fastboat. The Amazon fastboat is like a cross between a Greyhound bus and a commuter airline flight. 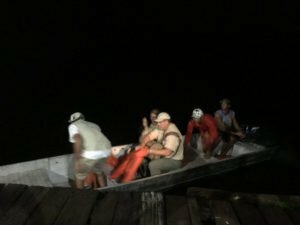 We took a tiny flat bottom boat from our Amazon Vision boat to a dock a little way up river with luggage on one side and a life vest over the other shoulder. It was a huge log. It seemed to come out of nowhere and it was too late to change course. 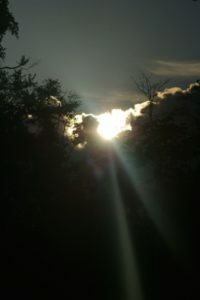 I was on the front deck watching the sunset and saw it coming. I braced by holding on to the ladder and then heard the first hit at the front of the boat, then the hit in the middle created a huge jolt. Sometimes a problem comes along and we over-adjust. We learned today that over-adjusting / overcorrecting can be dangerous. 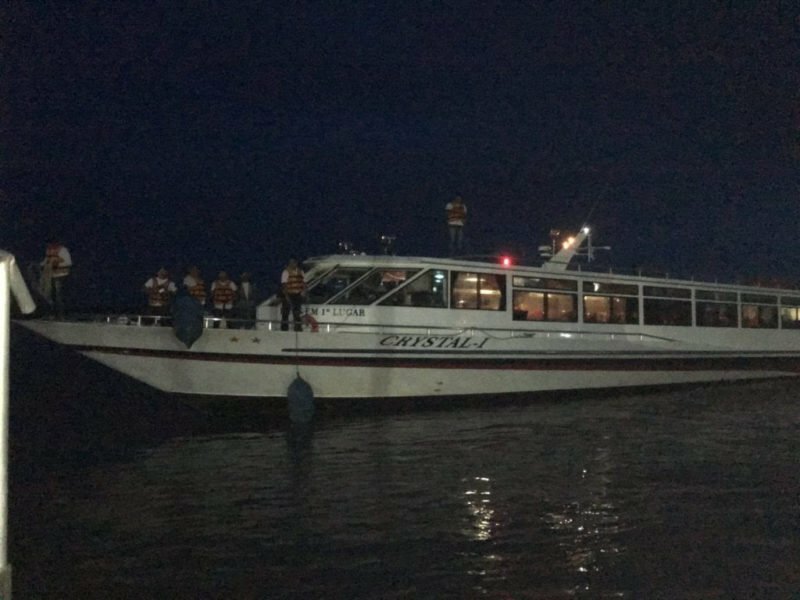 The boat captain was told of a shortcut that had been created from the rising water in the river and decided to turn the boat and head to the shortcut. We must have been coming up on it pretty fast because, rather than a steady turn to the right, he spun the wheel for a hard turn. Steering on any vehicle is vital. When the belt on our steering system broke we knew it was a serious issue. The current of the Amazon is very strong, especially when the water is rising. Our boat began to drift with the current. Thankfully the engine was still functioning and so we had a little control. 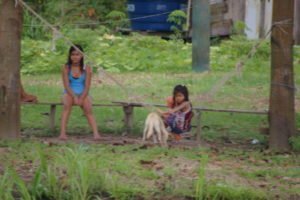 Day after day on the Amazon we have passed by house after house filled with precious families. We have seen them smile and wave. 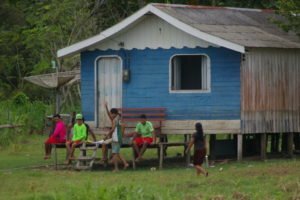 We have had a little peek into life on the Amazon as we watched them playing soccer, washing clothes, fishing, farming, harvesting….just living. Their belongings are scarce, the dangers are great. A boat out on the water is so peaceful and so relaxing. However, as a person who is not fond of being in the water – especially deep dark water – the surroundings can be terrifying. So the boat is the safe haven. Choosing to stay in the boat makes perfect sense…unless you are a Christian. 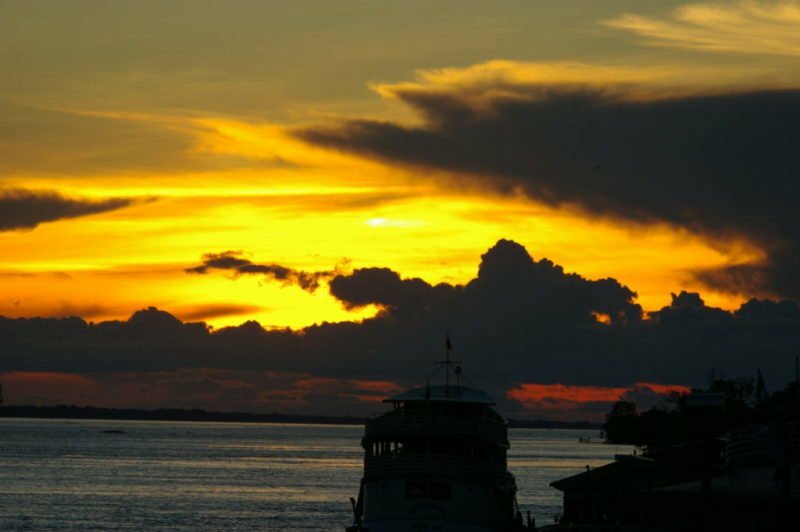 Being in a boat on the Amazon River is an amazing place to be. It’s peaceful and calm, aside from the occasional rain storm or floating log. Mile after mile of water and jungle. The bank is spotted with one or two room houses. Some are built on stilts and some are built on floating log rafts to accommodate the rising water of the rainy season. I posted the story yesterday about walking the plank. I eluded to the fact that we had one mishap that ended in an accidental baptism. It’s true. One of our precious team members was struggling with his suitcase (I had help with mine) and lost the battle. He fell right into that nasty brown water. We will be running a series of twelve inspirations by our precious friend and guest writer, Kelly Moore. 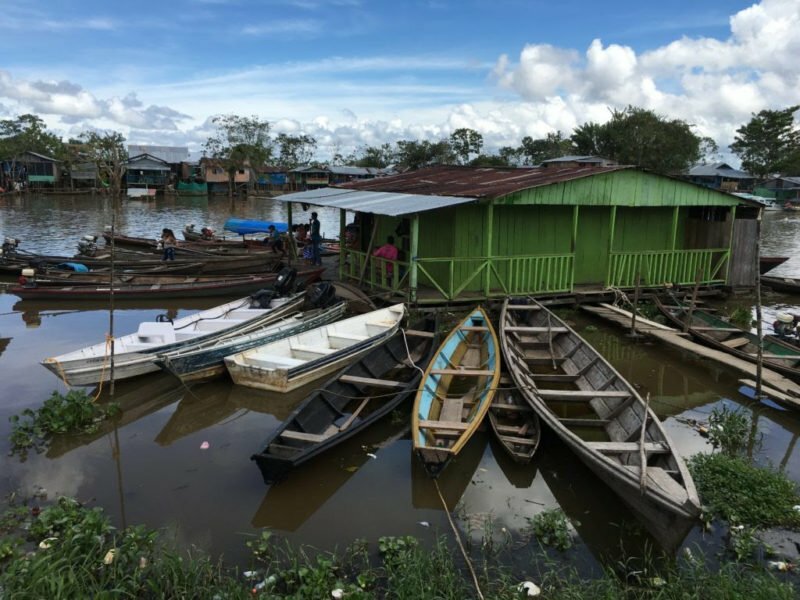 Kelly and her husband recently joined a mission trip with Amazon Vision Ministries, an organization dedicated to taking the gospel of Jesus Christ to villages along the West Amazon River. 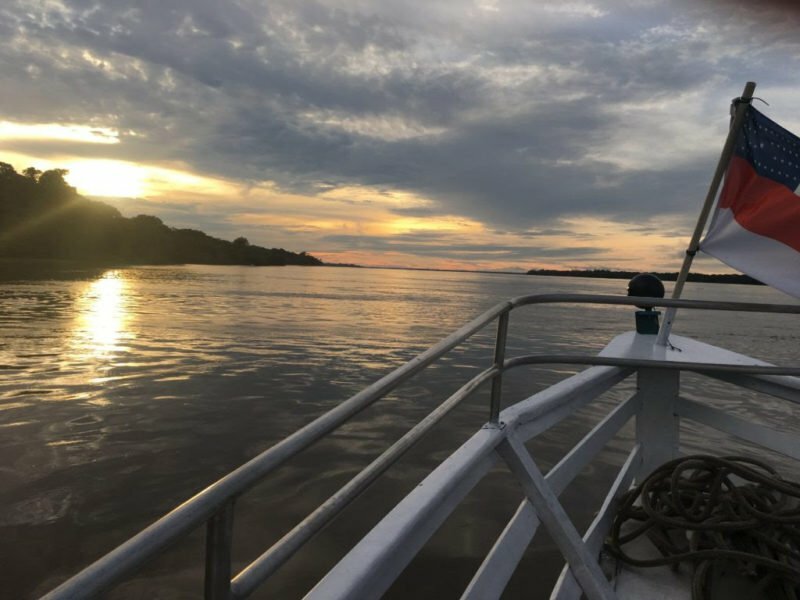 We know you will be blessed in a mighty way as Kelly shares her personal lessons from the Amazon.